Difficulty Rating: 5/10 (Moderate). The path is clear and there is no scrambling. Pleasant walking, but would recommend being fit, as it is a long day out. Suggested time out is 8hrs, which was pretty accurate. 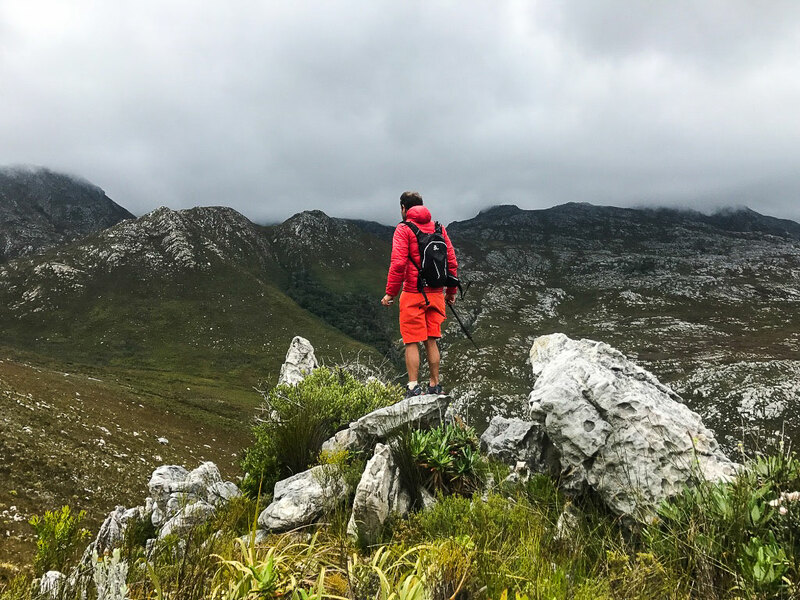 The Kogelberg Nature Reserve is situated on the R44 between Rooiels and Kleinmond, just an hour and a half from Cape Town, which makes it super accessible for a day outing. 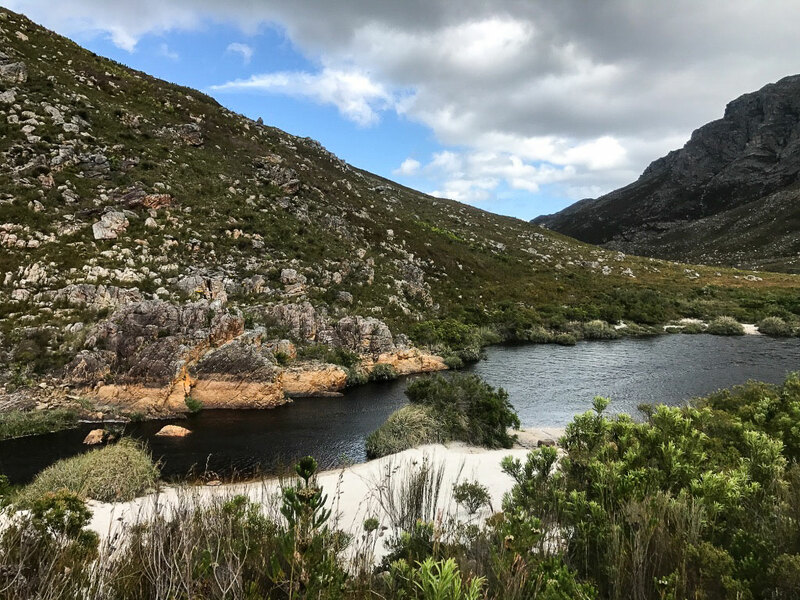 There are a number of options for hiking routes in the reserve, from the shortish Palmiet River walk (10km), to the longer, circular Kogelberg Trail of 24km, which we tackled over the weekend. 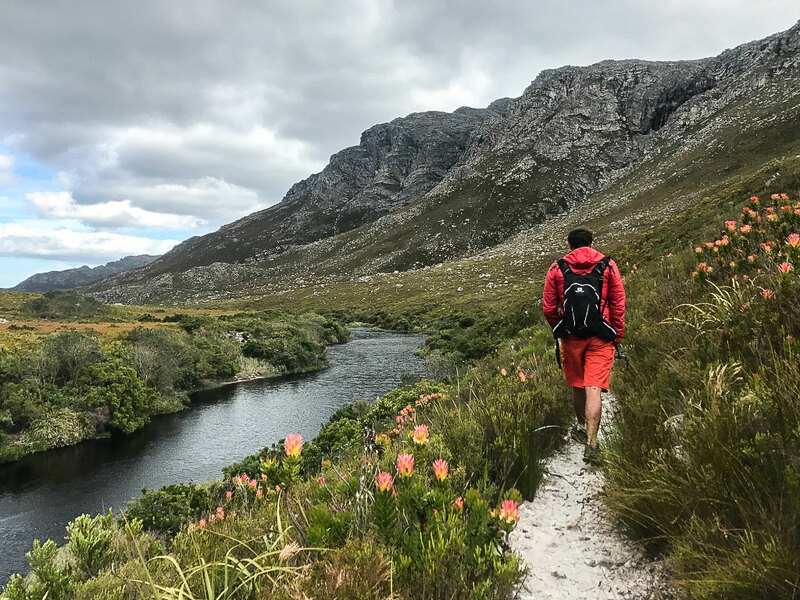 The route is diverse as well as absolutely beautiful, particularly at this time of the year, when the fynbos is still putting on a spectacular show. 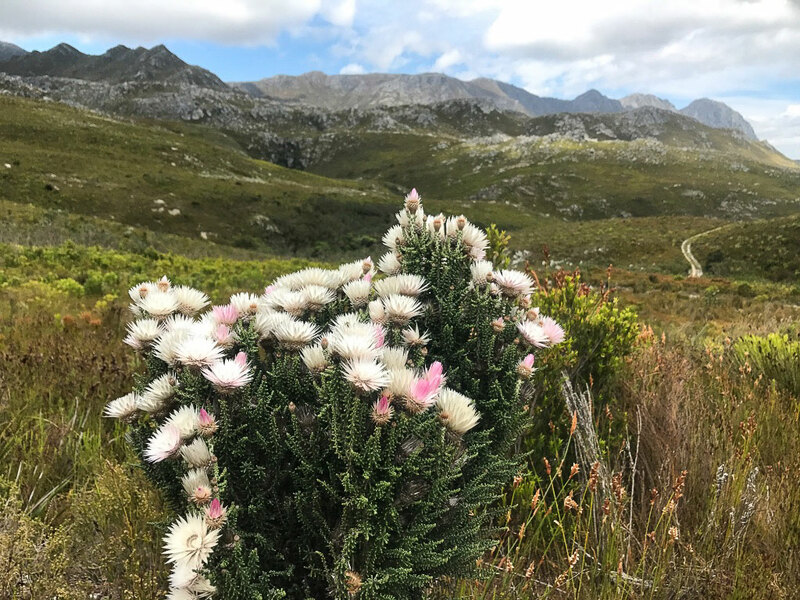 You can see why this area is considered to be the heart of the Cape Floral Kingdom. 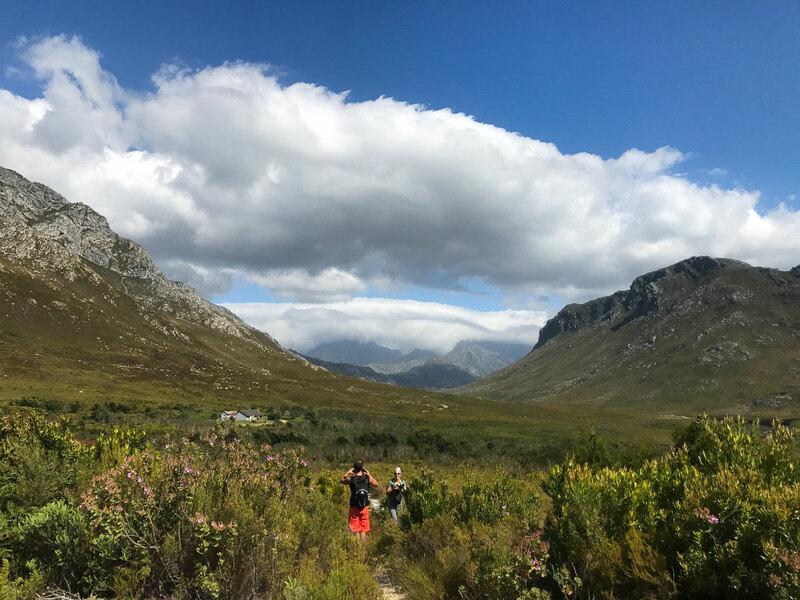 The hike starts with a gradual approach, on a single-track path, to the steepest part of the trail, meandering up and along the Oudebos River. 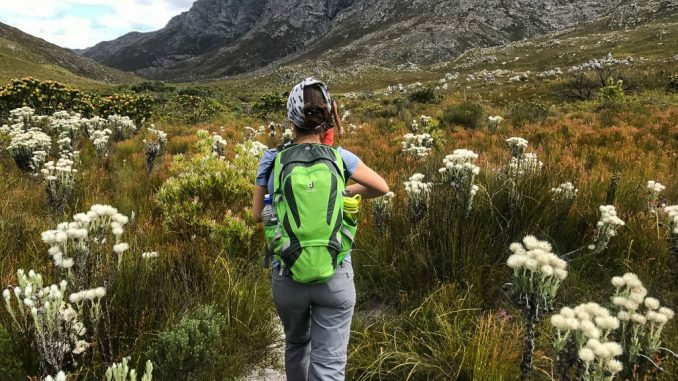 You pass through the most beautiful indigenous forest, where you get to share the space with yellowwood, stinkwood, boekenhout trees, amongst others, as well as a crystal-clear mountain stream – such a unique and special part of this hike. 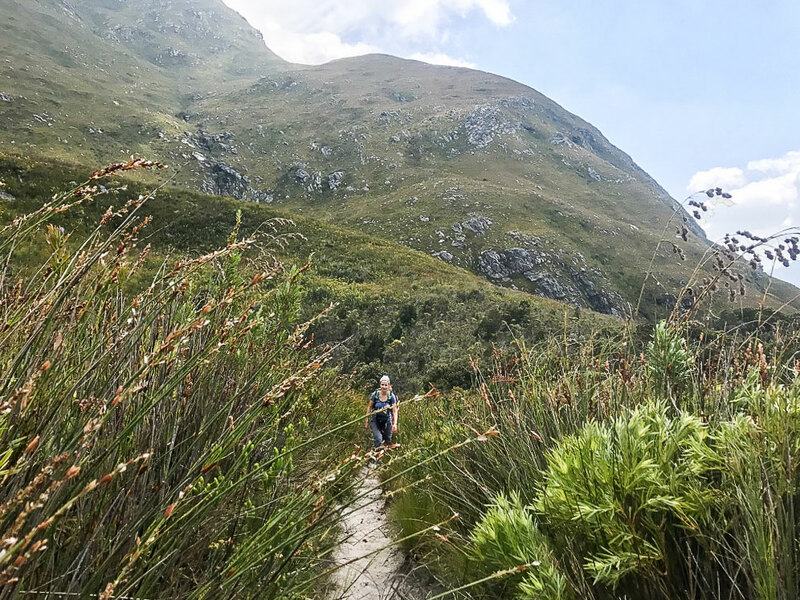 The forest suddenly opens up into vast fields of shoulder high fynbos, which nature has arranged seamlessly along a slightly rocky path, leading up to the section running around the base of Platberg (910m). 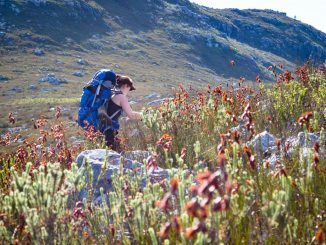 Hugging the side of Platberg along a narrow path, you can’t help but stop every few minutes, as yet another little bright flower or interesting restio catches your eye. The weather was a little overcast and closed in, so views were not as big as they could have been, but I imagine on a brighter day, all you’d see would be layers of mountains, blue sky and glimpses of sparkly ocean. The path evens out for a while as you pass Platberg to your right. Though slightly rocky underfoot, the ever-changing landscape, from seas of bright leucadendrons, morphing into landscapes littered with crazy rock formations as far as the eye can see, keep you immersed in the surroundings. The path steepens, descending to connect with a long, disused jeep track which follows the side of the Louwsrivier, towards the Palmiet. Views of pristine mountain pools, surrounded by rocky sentinels, are endless and vast along this section, although it is a bit of a slog, just a bit. 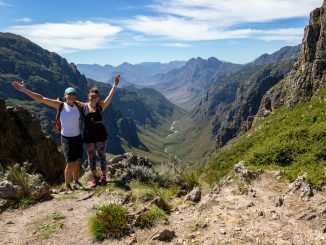 At the end of the jeep track the Kogelberg trail links to the Palmiet river walk. An absolute cherry on top is the swimming spot just off the path. A pristine, white, sandy beach banks onto a wide section of the river, presenting the most perfect place to have a dip and cool off in hotter weather. Carpets of everlastings lined the path in sections here, and you undulate your way along the river bank back to the start. 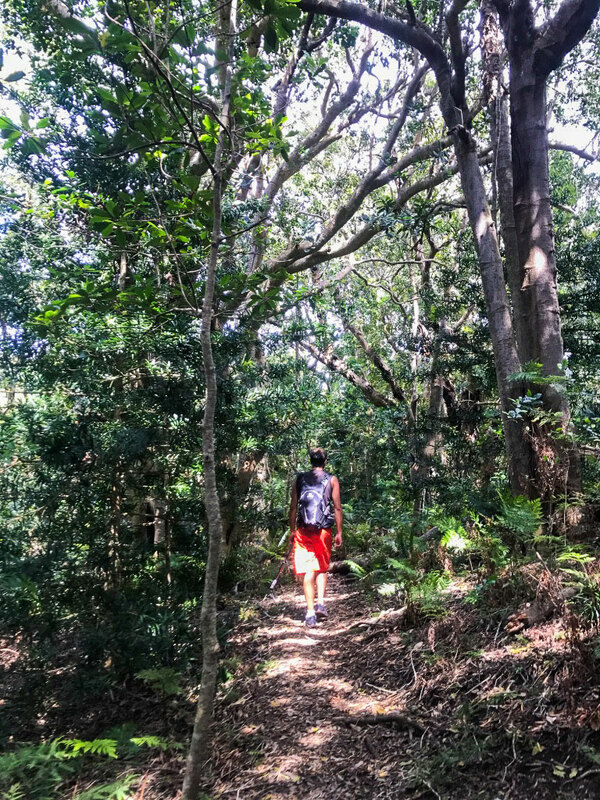 This section of the hike, around 5kms, is such a treat and definitely has you finishing the trail on a high. Probably one of the best kept trail secrets in this area! 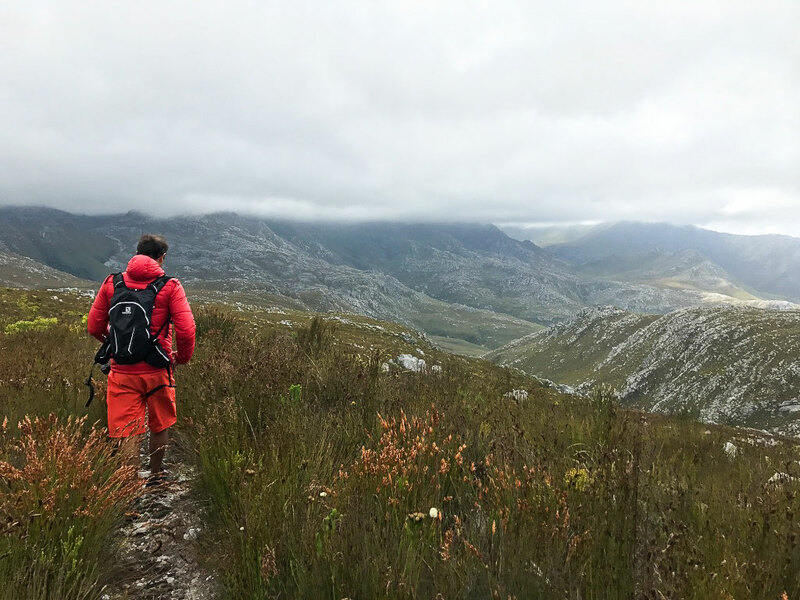 If you want to immerse yourself in pure fynbos heaven, this is the place to be. Could be very hot in high summer, as the trail is mostly shadeless. 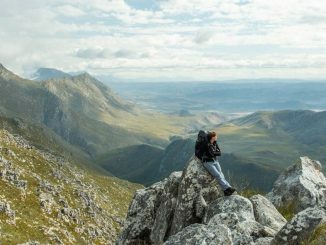 For hiking permits please contact the CapeNature call centre on +27 021 483 0000.